Using WinTest in the UKEICC 80m contests. 1. In WinTest, load an empty logfile with the Stew Perry Topband distance template. 2. 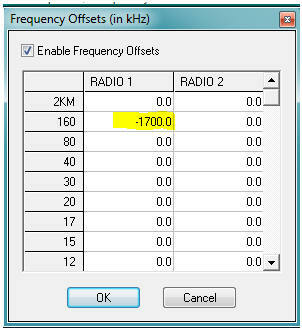 Make sure rig control (CAT) is working with 160m selected on your transceiver. 5. The frequencies will all be out by 1700 which you can then edit manually (using Notepad or any text editor) - but at least the last two digits will always be correct.